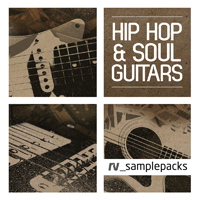 RV Sample packs present Hiphop Soul Guitars – a versatile collection of inspirational royalty free guitar hooks. 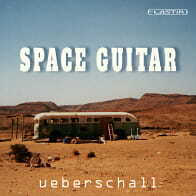 This is the perfect companion for any Songwriter or Producer wanting to add something extra special to their tracks. 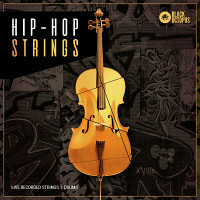 Hiphop Soul Guitar has been created exclusively for RV by Adonis Tsilimparis and features over 100 Guitar loops beautifully recorded using high-end microphones and outboard equipment to ensure every nuance is evident and each tone is captured from the instrument. 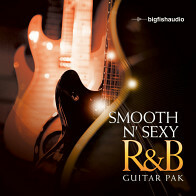 Over 80 Electric Guitar Loops and 20 Acoustic Guitar Loops give you the versatility to suit the recordings to your track. Adonis brings you melodic chord progressions, plucked arpeggios, sunshine licks and upbeat rhythms - the rich sound of real-world instrumentation! 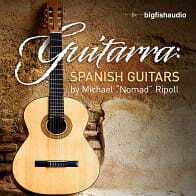 Each recording has been immaculately processed to bring out the true flavor of the guitar in a range of styles; subtle distortions, mild chorus and soft tremolos are applied to enrich the harmonics. 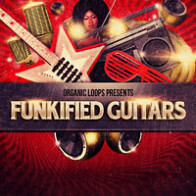 A perfect backing for any existing music - Hiphop Soul Guitars also helps you construct a song from scratch – with elements to fit the bridge, intro, verse and chorus. 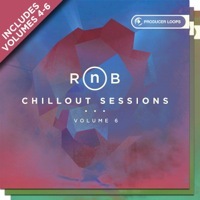 Delivered at 85-100BPM in a variety of Major and Minor keys, Hiphop Soul Guitar gives you fuel for the fire in Hiphop, Soul, R'n'B, Funk and Downtempo genres. In detail expect to find 874MB of content, with 104 24-Bit Wav Loops. 25 Loops at 85BPM, 25 Loops at 90BPM, 25 Loops at 95BPM and 29 Loops at 100BPM. 125 Rex2 Files125 Rex files are also included in the pack. The Following End User License Agreement is included with Hip Hop & Soul Guitars. This License is only valid for the individual who has purchased an unopened, new and lawfully made copy of Hip Hop & Soul Guitars from a dealer or distributor authorized by Big Fish Audio. "1.The Sounds remain the property of its manufacturer and/or Rankin Audio. (Collectively, "Licensor") and are licensed to you as the original end-user ("Licensee"), for use subject to the provisions below. All rights not expressly granted herein are reserved exclusively by Licensor. (A) The Sounds in a category of 'Sample Pack': The Licensee may use the Sounds in combination with other sounds in music productions (which include soundtracks of such as films, video productions, radio/TV programs or commercials, computer games and multimedia presentations, library music), public performances, and other reasonable musical purposes within musical compositions. The Licensee may modify the Sounds and may use the Sounds for commercial purposes as part of a musical composition with other sounds. The Licensee MAY NOT use the Sounds in isolation as sound effects or as loops (i.e. a sequence of musical events) or any competitive products that are sold or relicensed to multiple third parties. 2. A right to use the sounds is granted only to the Licensee and is NOT transferable. 3. This license expressly forbids resale, relicensing or other distribution of the Sounds, either as they exist or any modification thereof. You cannot sell, loan, rent, lease, assign, upload to or download from any server, or transfer all or any of the enclosed sounds to another user, or for use in any competitive product. 4. Licensor will not be responsible if the sounds does not fit the particular purpose of the Licensee."